Allen Grane is a research associate for Africa policy studies at the Council on Foreign Relations in New York, NY. Allen is also a civil affairs officer in the U.S. Army Reserves. Abuses committed by African militaries in the fight against Boko Haram have raised important questions about U.S. military involvement in the conflict, particularly the debate about U.S. military assistance and the role of the nearly 1,800 U.S. personnel across West and Central Africa. 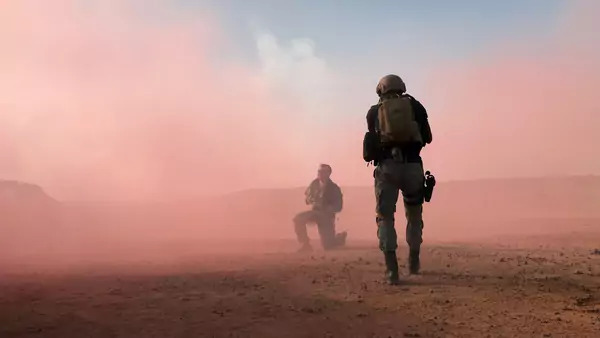 Commentators typically frame the situation as a choice between either promoting U.S. security interests by working with local armed forces to defeat extremists groups, or promoting human rights by ending military to military (mil-to-mil) relationships. In reality, the choice is not so clear cut. Without a doubt, the U.S. government must closely assess whether the military should partner with abusive security services. There are, indeed, times when the government should sever mil-to-mil relations. Security force abuses have the potential to push frustrated and marginalized populations toward violent extremism more than any ideology. However, by completely severing partnerships, the U.S. military loses the ability to influence the way in which African militaries conduct the fight against extremists. In most relationships, there are a variety of options short of completely severing ties that can help improve the proficiency, behavior, and methods of U.S. partners. The U.S. military’s security partnerships intend to advance U.S. interests, but they also serve to advance the interests of our partners. The approximately 1,800 American military personnel in West and Central Africa are there with the permission, and often at the request, of African partner nations. The presence and cooperation of U.S. military forces directly benefit the security goals of partner nation governments. While American forces are rarely in direct combat roles, they provide something even more important: intelligence, training, and equipment. The assets that the U.S. military deploys toward these goals allow partners to be exponentially more effective when undertaking security operations. The U.S. can therefore use these benefits as leverage. For example, to encourage partners to undertake serious investigations of human rights abuses, the U.S. government can withhold access to intelligence assets and equipment. This option should include reduced access to intelligence, surveillance, and reconnaissance (ISR) assets and the cessation of foreign military sales, which AFRICOM and its subcommands help facilitate. In addition, the U.S. government can implement and enforce defense cooperation agreements that stipulate additional training on human rights, the law of war as dictated by the Geneva Conventions, and interaction with civilians in a combat environment. Finally, AFRICOM can make participation in regional training exercises contingent on a positive or improving human rights record. These exercises often train units deploying to UN missions as peacekeepers, and facilitate coordination among regional partners. Exclusion from these high-profile events can serve as a low cost method to rebuke governments for military abuses. These are some of the practical measures that the U.S. military can enact to improve the behavior and professionalism of its partners in the fight against violent extremism, short of completely severing ties. General Thomas D. Waldhauser, commander of AFRICOM, has clearly stated the problem of security force abuses, arguing in the 2018 AFRICOM posture statement that heavy-handed counter-insurgency techniques “increase regional fragility by undermining public trust and confidence in the state, but also produce the grievances that fuel support for the enemy.” AFRICOM, working with the Department of State through embassies’ foreign area officers and defense attachés, must determine if certain military partners undermine U.S. security interests more than they help. Until then, however, the U.S. military should use all of the tools at its disposal to encourage African partners to improve accountability and professionalism within their ranks.